Sympathetic nervous system activation is a cardinal feature of heart failure. Cannon  first described this component of the autonomic nervous system as the “fight or flight response” which became activated to react to short bursts of activity associated with “pain, hunger, fear or rage.” The principal responses seen in the cardiovascular system are an increase in heart rate and myocardial contractility, an increase in peripheral vasoconstriction, and other alterations in vascular tone causing redirection of blood flow to vital organs. Chidsey  was one of the earliest investigators to demonstrate that heart failure was accompanied by chronic activation of the sympathetic nervous system. This was at one time felt to be a beneficial response, helping to restore cardiac output through inotropic and chronotropic actions which were held to be beneficial to the failing heart. Beta adrenergic blocking drugs were believed to be contraindicated in heart failure and labeled as such. 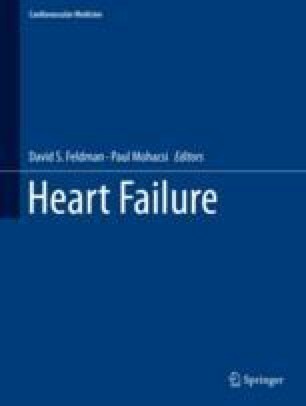 An improved understanding of the potential detrimental effects of chronic sympathetic activation emerged with new insights into the pathophysiology of heart failure, and from small clinical studies which suggested patients with heart failure could benefit from treatment with beta adrenergic blockade.